Several times I hummed Jonn Mellencamp’s “Pink Houses” while I was drawing and painting art card #15. 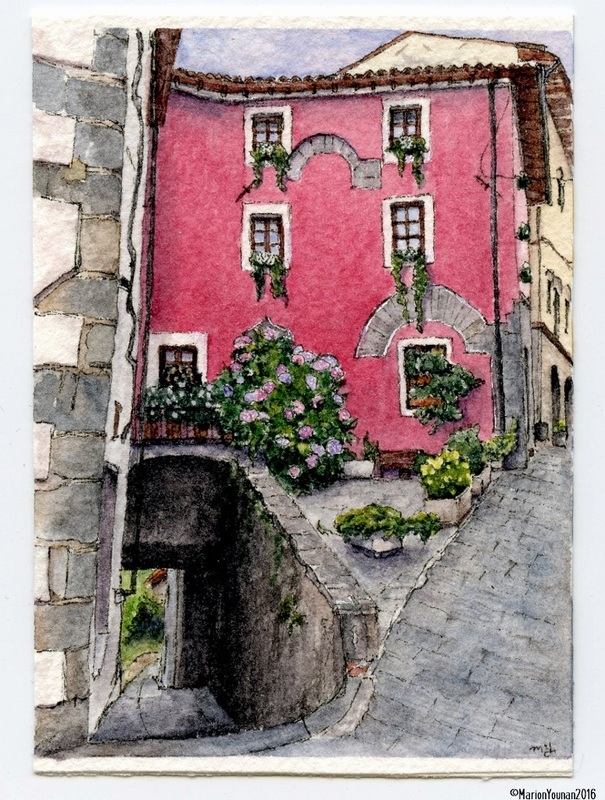 This pink house, while not so little, is found in Barga in northwest Tuscany. I was at a week-long art course just outside this town in 2014, and one night, the group went into Barga for dinner. On our way to the restaurant we passed a side street with this dazzling house and its pink and violet snowball hydrangea plant. Upon seeing it, a couple of us pulled out our camera-phones to snap a picture – you could tell we had”art on the brain”. At dinner (which was amaaazing, btw), we shared some photos of subjects we wanted to paint when we got home, and this house was on several of our lists. Finally, I’ve painted it! Even though it’s 2.5″ by 3.5″, it still reminds me of a great evening in Barga with new art friends from the UK, New Zealand, Singapore and the US! I love the whole scene: The pink house face with flowers in front and alley beneath. What a magical spot. Hi, Ry – yes, it’s quite a special spot! If the pink house wasn’t enough, that alley beneath it adds more intrigue! Yes, Janina, I agree with you. If someone painted their house that colour in my neighbourhood, there would be an uproar. I remember in our last neighbourhood, someone painted their garage door a pink colour, and it became known as the “eyesore” of the neighbourhood – I thought it was very cheery! Yes, I understand exactly re the ‘eyesore’ of negative attitudes and conservatism. People don’t like change. Thank goodness for places like Italy and Greece and all the other Mediterranean islands where can get to enjoy colour in the architecture and designs of homes. Thanks, Ishita! 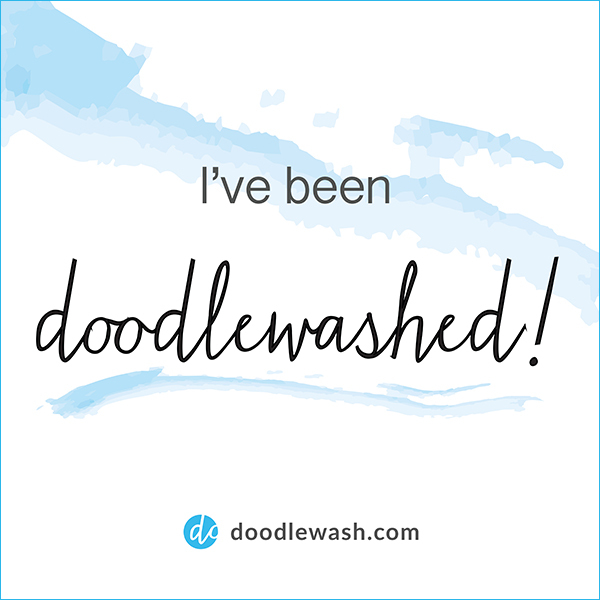 From one lover of Italy to another, I enjoy your blog too.